There are a range of training and resources available for ensuring inclusive coaching takes place throughout all sport and physical activity. This section provides an overview of what resources are on offer to ensure that all sport is delivered in an inclusive manner. Coaches play a key role in inclusive sport. Sports Coach UK offer a range of inclusion-based workshops including 'How to Coach Disabled People in Sport' and 'Effective Communication: Coaching Deaf People in Sport'. It also features a range of online resources for coaches who coach disabled people in sport including case studies and videos. Impairment Specific Coaching Awareness Factsheets have been produced on the following: ADHD, Asperger Syndrome, Dwarf Conditions, Hearing Impairment, Learning Disability, Manual Wheelchair Users, Visual Impairments, Cerebral Palsy and Autism. Case study from Boccia Epsom & Ewell: through including all coaches in the provision of sessions for disabled people helps to ensure that the club is inclusive. British Blind Sport have worked in partnership with National Governing Bodies of sport to produce guides to help those working with people with visual impairments. The resources aim to help mainstream providers become VI friendly. There are 4 guides available for the sports of Athletics, Judo, Football and Swimming. To download the guides click on the links below. These resources are available in different formats including larger print, braille and CD. Please contact British Blind Sport for details. 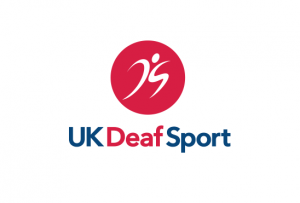 UK Deaf Sport are one of seven National Disability Sport Organisations (NDSOs). UK Deaf Sport have some great insight available to help providers of sport and physical activity understand their local population. DEAFinitely Inclusive Networks - brings organisations together to help create more changes to play, coach and volunteer in sport. DEAFinitely Inclusive Club and Facility Mark - supports sports organisations to become deaf aware and helps people with a hearing impairment to be confident in choosing which clubs or facilities to attend. If you are a sports instructor or leader of an organised activity group, you may have an autistic person in your class or group. The National Autistic Society have some great information to help support you engage effectively with autistic people including details on training opportunities. Take advantage of online information. Developing Female Coaches - for coaches who coach women or who are interested in coaching them in the future. There are also online resources for coaches who coach females in sport including case studies and videos. Sports Coach UK offer workshops on 'How to Deliver Engaging Sessions for Young People' and 'Equity in Your Coaching'. For sport specific workshops and courses – visit the National Governing Body of your sport to find out what inclusive coaching workshops and resources they have available.